Turkey’s eastern province of Muş has banned protests and demonstrations for 15 days following the Sunday’s local elections amid objections by the country’s pro-Kurdish party to the polls, independent news site T24 reported. The announcement from the governor’s office arrives following a victory by Turkey’s ruling Justice and Development Party (AKP) in the Kurdish-majority province by a slight margin of 538 votes ahead of the pro-Kurdish Peoples’ Democratic Party (HDP). HDP's Muş mayor candidate Sırrı Sakık, in a tweet post showed how the city is enforced by special Turkish forces. The HDP has said is preparing to appeal the results, citing irregularities, left-wing Evrensel newspaper reported. ‘’The governor’s office has noted that it may ban all gatherings in one or all towns for a period of up to one month,’’ the governorship announcement citing the threat of ‘’provocative’’ activities. 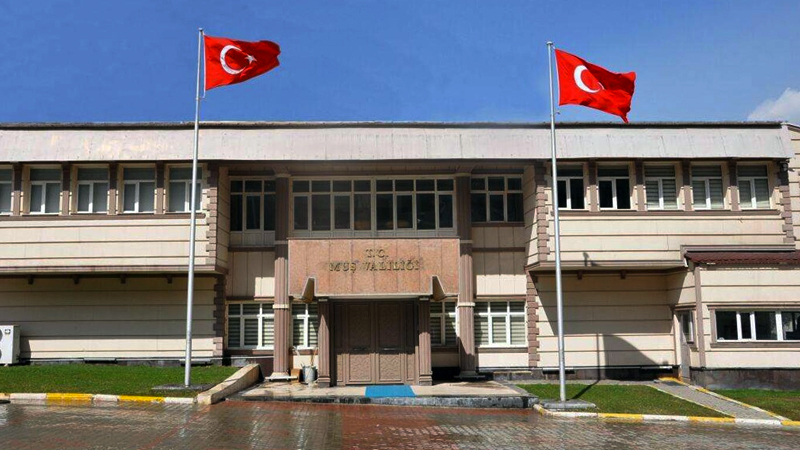 Muş is one of numerous provinces in Turkey’s east and southeast where government appointed administrators (kayyim) have running municipalities since the July 2016 coup attempt. "Vali, bağlı ilçelerin birinde veya bir kaçında bütün toplantıları bir ayı geçmemek üzere yasaklayabilir"